No introduction is needed for these Teutonic titans. For the past 35 years Destruction have been terrorizing the thrash scene with countless classics. Always a little more aggressive than their U.S. counterparts, Destruction released three groundbreaking albums in the 1980s that were a blueprint for thrash to come. They are now prepared to unleash their thirteenth full-length album, Under Attack. This is already their seventh since reforming in 2000. It’s a huge improvement over their latest releases as the songwriting is more focused and influenced by thrash inspired riffs. The modern influences that have crept into their current sound remain, but is kept to a minimum this time around. On recent releases the songs haven’t been as memorable and after the album finished it was hard to recall what you just heard. That is not the case with Under Attack. The title track is a throwback to their early days with its biting riff and Schmier’s vicious vocal melody. In fact, Schmier’s vocals are still as biting and pissed off as ever. His unique tone is present and at the forefront of the material. Longtime guitarist Mike Sifringer is on fire with incredibly precise thrash riffs that give drummer Vaaver a chance to show off his monster double kicks and frenetic fills. A multitude of lead guitarists are used throughout the release, led by former shredder Harry Wilkens, who was a full-time member in the late ’80s and early ’90s. “Getting Used To The Evil” starts with an arpeggiated intro before blasting into a neck inducing pounding riff. The verses also show Schmier hark back to his “Reject Emotions” vocal style. The one two punch of “Conductor Of The Void” and “Stigmatized” (not to be confused with Sodom’s song of the same name) finish the release on an incredibly high point. The former finds a mid tempo crunch that is incredibly unforgettable. The latter is a barn burning furious ripper that finds the band brutalizing their instruments to end the album with a path of destruction laid in its waste. 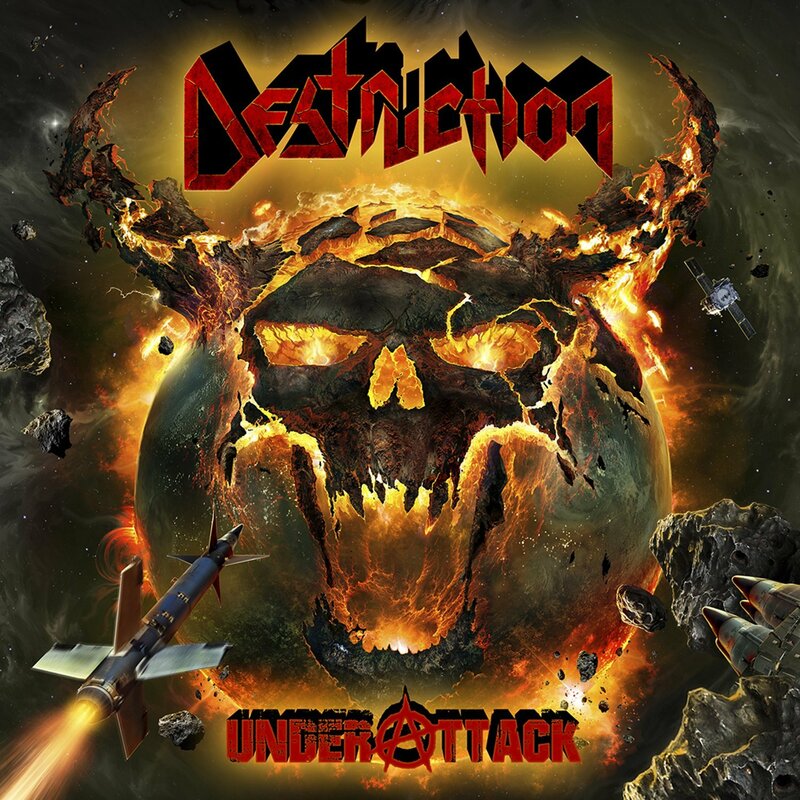 Destruction have been hit or miss since their reformation, but Under Attack is their best release since 2001’s The Antichrist. Not as ground breaking as their early material, but the songwriting is more condensed and polished.